Your company’s information is never fully secure without a reliable IT environment. BBS’s Internet Domain &Web Management Services can provide you with the peace of mind in knowing that your data and operating systems are safe and secure. Our services include websete development and hosting, domain management, and web management as well as various configuration, integration and cloud based services like Microsoft Hosted Exchange, Google Apps, and more. 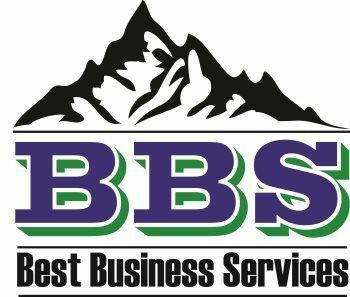 BBS can help get you up and running on the internet and the web by helping you choose the best internet service provider (ISP) and installing everything you need for wireless or hardwire internet access. BBS will also continue to manage your internet set up as you grow allowing for different privileges and authorizations as needed to keep your business safe and running smoothly. BBS’s websites are designed for ease of use, reliability, flexibility, and streamlined for fast uploading and downloading. Updates, modifications, amendments, and alterations, can be carried out easily, as all websites are produced with simplicity and flexibility in mind. If required, websites can also be designed to operate on a database system allowing easy expansion of even the largest or complex websites. BBS considers your specific and unique web requirements for your business, not only for today, but for tomorrow too, with the aim of enabling your business and products to exceed your customer’s expectations now and in the future. Our experienced and highly capable web engineers and developers create quick, functional websites by striking a good balance between usability and details that allow your website to be very responsive. For personal users, startups or small businesses, BBS can offer many different web management and web hosting services. Our services include the most frequently used options, such as iASP, PHP and CGI together with a wide range of metered or fully unmetered bandwidth, and a number of POP3 e-mail accounts depending on your unique needs. We can also provide fully customized web management and hosting solutions if required that you can change as frequently as you desire based upon changing business needs. Upgrading or modifying your web configuration to an alternative package or customized variation is quick and easy, and can be carried out at any time. Whether it is someone looking for a new golf club, a local business lender, a real estate agent, or a computer manufacturer in need of three thousand instrument panels, the Internet is where it happens. Unfortunately, today most websites are only being used as an online information center or brochure. Moving your website to the top of the Google search page and other major search engines will enable your business to reach all your potential customer and transform your website into a powerful source of business development. Customized tactical search engine optimization can generate more revenue for your company than all other forms of advertising combined. Studies have shown that 70% or more of all search engine users prefer clicking on the "natural" results in the main left portion of the search engines (versus the sponsored listings found on the right). Positioning our clients' websites at the top of the natural rankings is one or our main objectives. We can provide you with detailed information regarding search by others of you site and competitor’s sites and help you get a bigger share of the potential clients looking for your products or services.